Alternative medicine has shown beyond doubt its reliving powers. The part of this ancient medicine that is strongly connected with pain relief is called reflexology. On Dr. Oz’s show, a reflexologist, who introduces the idea that our feet and hands are a sort of microcosm of our bodies, explained in detail about this and other types of methodology. 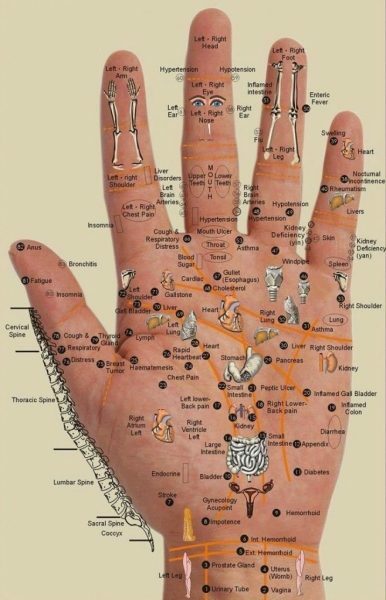 According to this non-intrusive, complementary health therapy each part of the body is connected to a point in the hand or on the feet. Solely by pressing or massaging these trigger points, chronic pain or illness can be addressed. This easy and simple method is definitely worth trying. See the video below for detailed explanation. You won’t lose anything but gain an instant relief and a healthy boost.